Our seamstresses made custom shams, duvet cover and a colorful pillow for this Greensboro, NC home. Custom bedding was a less costly update than starting from scratch with all new furniture. That, along with large nightstand lamps and a luxurious throw! 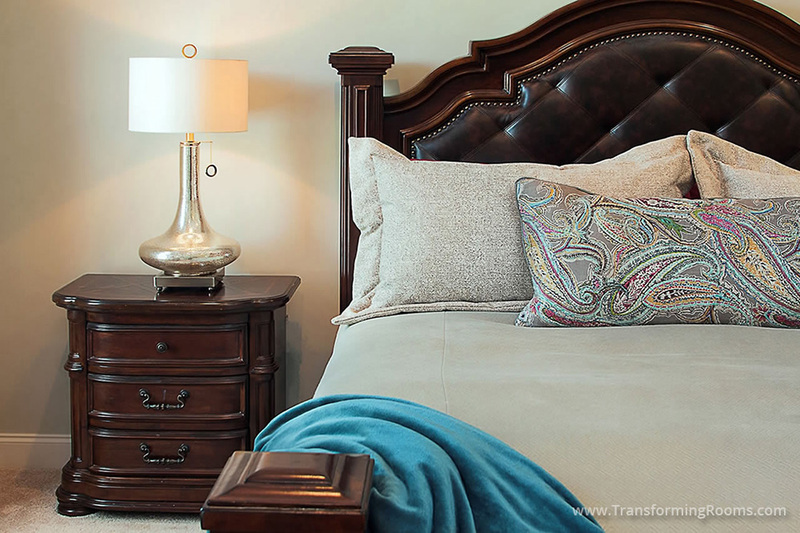 See additional changes to this bedroom in our Transformation section of the portfolio.